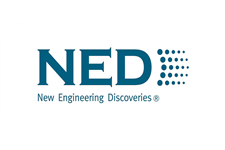 The Russian brand of HVAC equipment NED (New Engineering Discoveries), developed by an engineering company OVIK, exists in the Russian market of ventilation systems for over 20 years. The company’s range consists of over 7,000 items of products for ventilation and air conditioning. In the production of equipment NED uses components of such manufacturers as SIEMENS, ZIEHL-ABEGG AG GERMANY, DANFOSS, S + S. According to the independent market researchers, the company is one of three leading Russian manufacturers and suppliers of ventilation equipment.